This past August I was involved with the MIT Skoltech Innovation Workshop, the second edition of the successful 2012 workshop. The motto of the workshop was "Tinker. Reason. Experiment. Innovate." and the goal was to get students accustomed to thinking about innovation in an entirely new way. 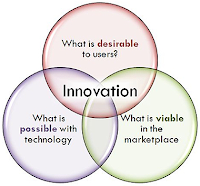 “Innovating requires behavioral change. This year students have taught us that we can reliably reproduce the experience we created last year, to effect the change in behavior needed to adopt innovation as a way of thinking,” said Dr. Perez-Breva, PhD, who conceived the workshop and directed both editions. This was the second time I helped out with the workshop, and just like last year I played the role of a technical advisor for several computer vision-focused teams. As an aspiring computer vision entrepreneur, the experience of instilling each team with expert computer vision and machine learning knowledge was invaluable. This gave me an opportunity to better understand how a younger generation of students thinks about computer vision as well as gauge their ability to get technology up and running. Overall I was impressed with student progress over the short final project period and I learned several important lessons which I want to share with you today. 1.) There is a high barrier to entry when it comes to using state of the art object detections. Many great tools have been produced by the research community and work quite well on standard datasets straight out of the box. Unfortunately, true innovation requires utilizing computer vision techniques in novel scenarios -- scenarios for which new datasets must be created. 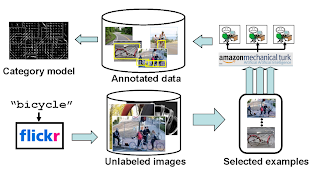 The entire process of creating an object dataset, image labeling, and preprocessing is not as straightforward as you might think. This means that students lost valuable time just on creating the right input for their object detection systems. Training object detectors should be easier. Because iteration is inevitable in most successful projects, we need a faster way of building vision-enabled apps. I wish there was an interactive and real-time way of training object detectors. 2.) Innovation is all about seeing opportunities where others either see problems or nothing at all. As a technology advisor I had to remind the students that their goal was to think about product which could change the world in a positive way. 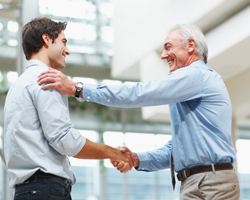 Once a team devised a product for a specific market, I would help with the technology by acting as a hired expert. Only after the teams were able to generate ideas I would discuss the feasibility of their proposed solution and help them brainstorm ways of improving the underlying technology. This sort of open-ended thinking is generally not taught in a classroom -- where the goal is to work on predefined problems. As an innovator, you have to come up with the problem, the solution, and convince a broader audience that your solution novel and likely to succeed. Homework, with its predefined trajectory for success, is the antithesis of innovation. Too much homework and students get accustomed to being assigned defined tasks. What this means is that to engender a new generation of entrepreneurs we have to give them fewer predefined problem sets, and more open-ended team-based projects. 3.) The project teams responded very well to my enthusiasm and positive reinforcement. I enjoy working with teams, but in all of my school projects I have always taken the role of lead engineer. The innovation workshop was my opportunity to work as a coach. I found that I love working with ambitious and talented teams, as they have not yet been perverted by the overly-refined tastes of academics, but are filled with their own dreams of changing the world. During a one week intense development period, I rationed my time to 30 minutes per team per day. I did not answer questions over email, and used a timer to make sure each time only got 30 minutes. I told each team that I could help them with any technical issue they had -- ranging from C++ linking errors to brainstorming about a new machine learning algorithm on the board -- but that it was up to them to decide how to best make use of my time. This helped each team better utilize a technical advisor's time, as such advising sessions are quite expensive for in the real-world (i.e., in startups). The teams treated me with a high degree of professionalism, and they were quick to realize on their own that it was not worth using me for low-level coding questions. It doesn't take much to get me excited about computer vision, and I feel that after most of the advising sessions I was able to significantly raise team spirit. When teaching or advising, it is important to have the students feel positive about their work after each meeting. For every discouraging word, it is wise to sprinkle in encouragement and an overall positive attitude towards student progress. If you're going to teach, provide enough positive encouragement so your students leave your office so energized that they are dying to get back to their research projects. I have found this teaching innovation experience to be more fulfilling than any of my other teaching experiences to date. Overall, teaching innovation has helped me realize what is missing in the world of PhD Academic research. There is big difference between pure research and true innovation, and while those skills are both instrumental in startup success, there is a big difference between being a die-hard researcher and a die-hard entrepreneur. I now know what my education has been missing. Thank you MIT SkTech Innovation Workshop for the wonderful experience, and helping me refine certain skills which will likely make more more valuable during my own entrepreneurial ventures. As computers have become more accessible, inexpensive, and powerful, the demand for this technology has increased, leading to more frequent use of computer resources within classes, and a decrease in the student-to-computer ratio within schools. really useful informative. thanks for sharing. nice blog. Nice post with great details. I really appreciate you for sharing this great info with us through this blog. IICIE is a global center of innovations and entrepreneurs offering training, certifications (CBIM) and membership in the fields of Technology, Biotech, Green Energy, Gaming and New Media.